Enjoy our tangy MIRACLE WHIP Creamy Spinach-Artichoke Dip today. 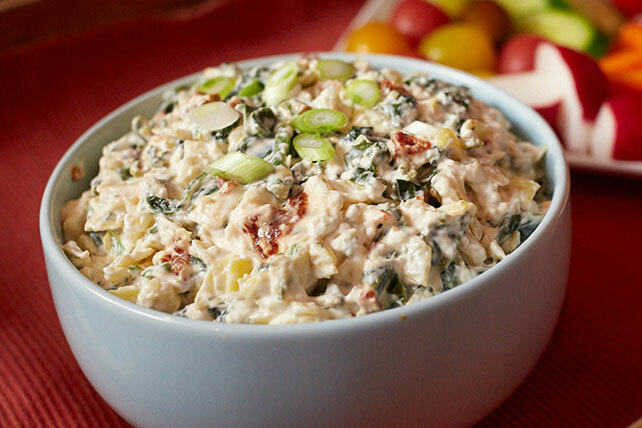 This creamy spinach-artichoke dip is a Healthy Living recipe that is sure to please. Serve with your favorite cut-up fresh vegetables. Substitute 1 can (4 oz.) chopped green chiles for the chipotle peppers.